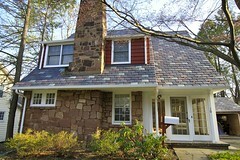 When you need roof work for your Monroe NJ home, you’ll want to find the best Monroe roofing contractor for the job. The Monroe roofing contractor will help you make the right decisions regarding materials, particularly as they relate to your house’s style and climate. The Monroe roofing contractor will also make sure the roof you install will not only meet your personal requirements but also those of the roofing manufacturer and local building codes. Below are some tips to help you determine which company will provide the best service. Get a referral: One of the best ways to find any contractor is to check with people you know. Have any of your neighbors, friends, or colleagues had their roof replaced? If yes, were they happy with the job and, most importantly, would they work with that contractor again? This a sure sign that the experience was a good one. 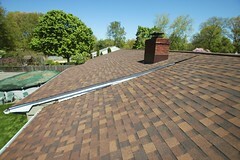 Also, if you know of a home in your area that just had a roof installed, ask the owners if they have a recommendation. Smaller lumber yards and hardware stores are also good sources for leads, as are any roofing distributors in your area. Do your research: Once you’ve identified a couple of qualified roofing contractors (3 or 4), do some sleuthing. Verify their business address, phone number and email, make sure they are insured and licensed, and even run a credit check. How long have they been in business? Do they have a professional website that includes previous work, customer comments and references? Check with your local Better Business Bureau or chamber of commerce, as well as contractor review sites like Angie’s List, to see if they report any complaints. Meet with them: Once you’ve narrowed the field, have each prospective contractor visit your home to discuss roofing materials, the extent of work to be done, and the amount of time and manpower that will be required to complete the project. Does the contractor seem enthusiastic, knowledgeable and professional? 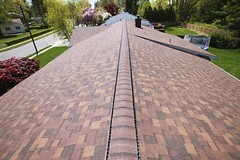 Those qualities will be your assurance that you’ve got the Best Monroe Roofing Contractor on your hands. Contractors have insights on best roofing materials and installation techniques, but it is your house so be sure to ask questions and participate in the decisions. Get it in writing: Do not let work begin until you have a signed contract that details every aspect of the job, from the type of roofing materials to be installed to the product warranty and workmanship guarantees. Make certain it covers safety procedures and liability )including workers’ compensation) when work is to begin and end, and how many workers will be on the job. The contract should also specify clean-up methods, payment amounts and schedule. You might even want to ask for a lien waiver to protect against claims that could arise if the roofer fails to pay the materials manufacturer or other vendor. You’ll get what you pay for: Don’t go for the cheapest bid in an attempt to save money. Your roof is an investment worth making, and the cost will be amortized over the lifetime of the roof. Your final choice should be based on a combination of cost and confidence. 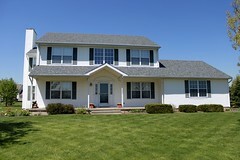 Looking for the Best Monroe Roofing Contractor?